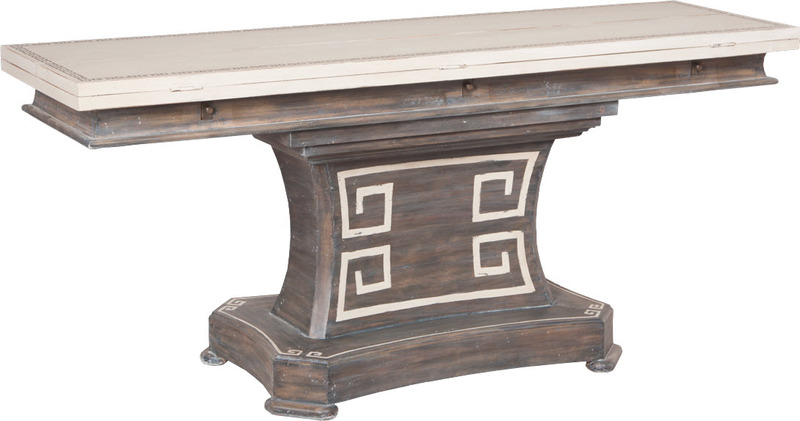 REFECTORY DINING TABLE - Heritage Dark Grey Stain finish with hand painted greek key Accents in Manor Porch Rail on hand carved mahogany table base. Manor Porch Rail finish with hand painted greek key border on table top. Antiqued hardware. H 30" x W 72" x Depth 40"